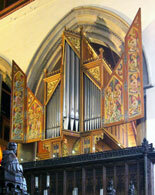 BIOS is responsible for the listing of historic organs (the Historic Organ Listing Scheme). Often used as a measure of grant-worthiness. The Historic Organs at Risk Register records instruments that are currently at risk to their survival or historic integrity. 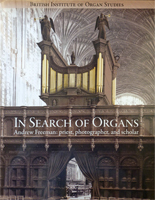 The British Organ Archive (BOA) contains information about organs and organ builders.It includes original order books and drawings as well as contemporary journals and publications and the Andrew Freeman photographic record. The BOA is now housed in the Cadbury Research Library at the University of Birmingham. The Freeman-Edmonds Directory of British Organbuilders covers both firms and individuals prior to 1950. 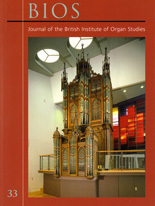 A link is provided to listings of accredited present-day British organbuilders.